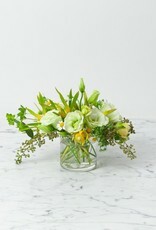 There is simply nothing as wonderful as fresh flowers. We have always had dreams of having our very own winter-full hothouse, fully stocked spring cutting garden, or specially seeded summer wildflower meadow right outside of our own back doors. 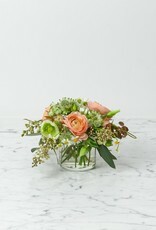 Until then, we have the (humbly brilliant) Miss Anna channeling that exact dream of wild-blooming magic with her gorgeous, joyful, bountiful arrangements. Our stems and branches are sourced locally and wildly whenever possible, with a focus on seasonality, sustainability, and (of course!) beauty. 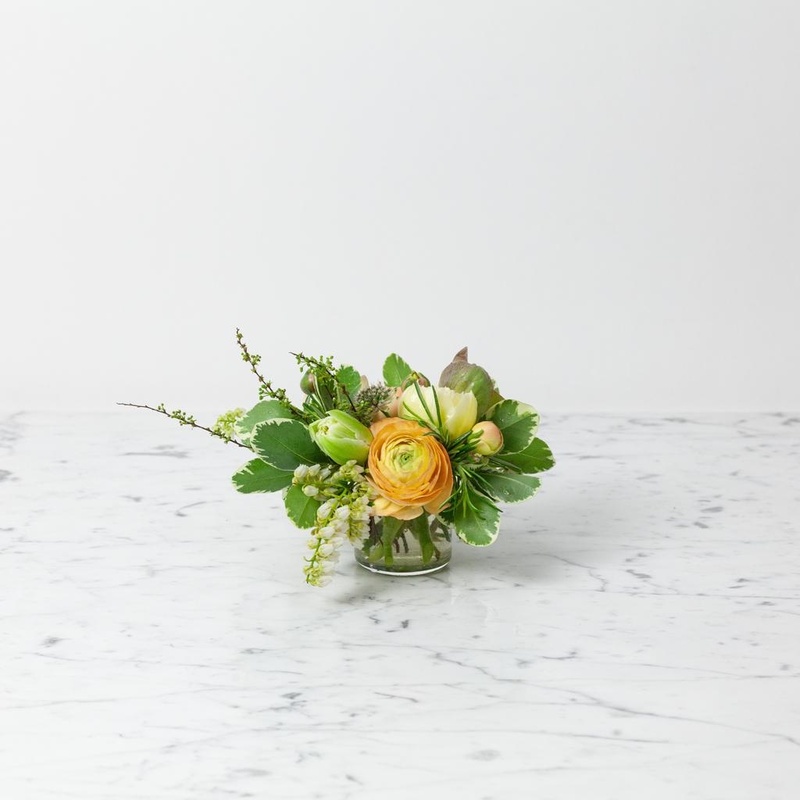 The combinations and palettes change gloriously along with the bloom schedule, and every Foundry arrangement is exquisitely unexpected—full of wild and wonderful juxtapositions of tone, texture, and variety. 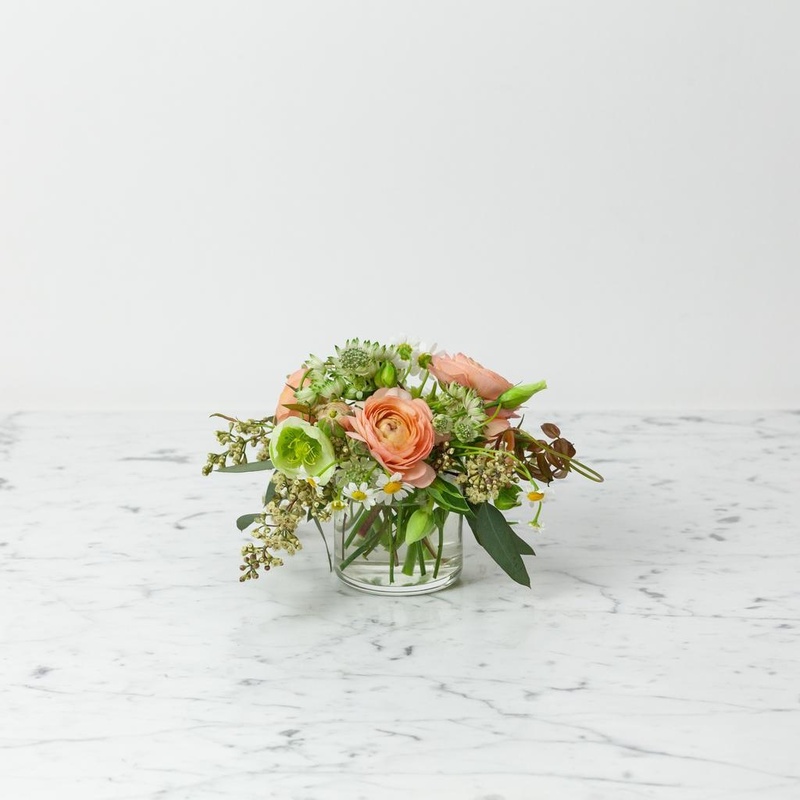 The Small Bouquet is a dream to wake up to on bedsides or just the little pop of joy to tuck on a windowsill or dark corner in need of a little loveliness. 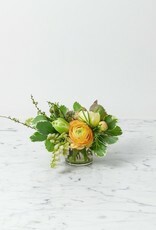 Hand tied or in a vase, this transcends nosegay—small, mighty, and totally gorgeous. 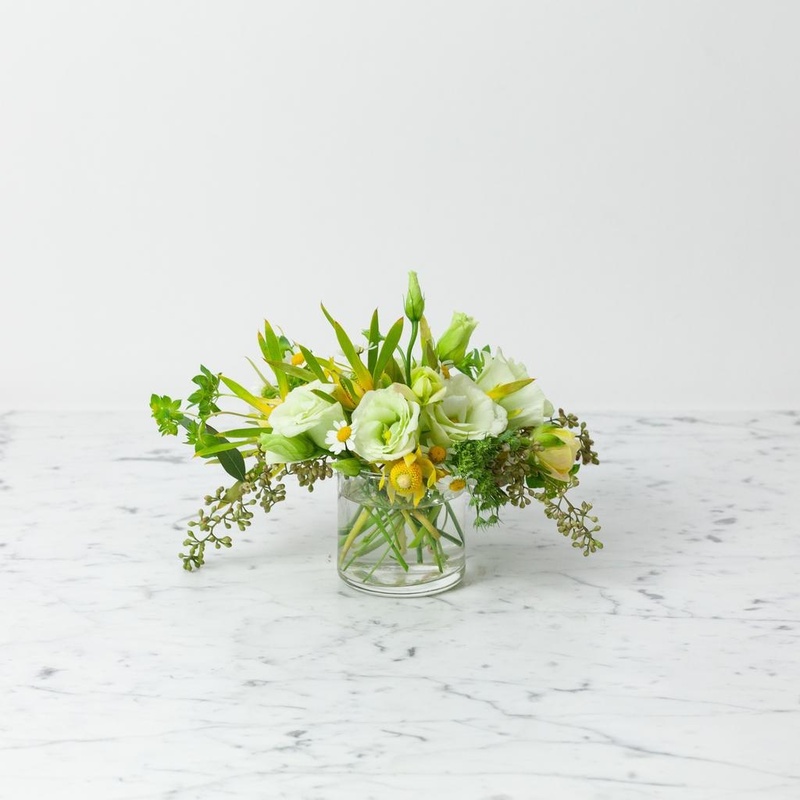 Each Foundry Bouquet comes in its own simple, lovely vase (no green glass facets here! ), though if you have a special vessel you'd like us to use instead, just get in touch...there's a little discount in it for you as well.